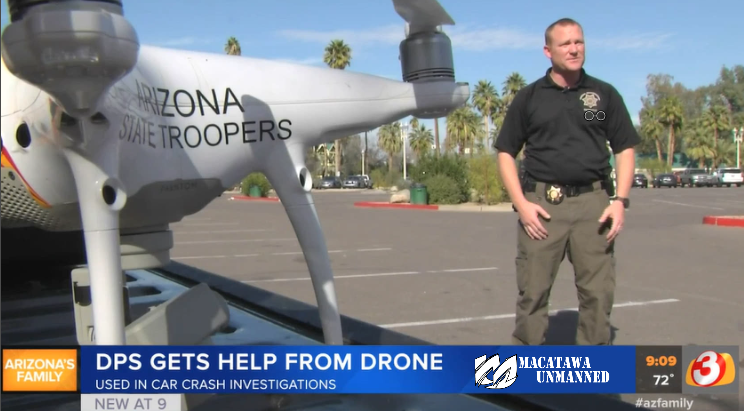 DPS trooper Brian Hon said that agencies throughout the country are clearing accident scenes up to 70% faster by leveraging drone technology. Trooper Hon starting his department’s drone program and is now using it to recreate crash scenes placing them into a 3D model. “We can recreate mathematically what happened later. We can measure tire friction marks inside the imagery”.